A one-week all-expense paid trip to whichever Bethel Jehovah is currently residing at! An autographed first-edition of Vol. 1 No. 1 of Zion’s Watchtower (hermetically sealed behind tinted plate glass, of course, to avoid injuring anyone with old light)! “But what’s wrong with the current name?” you ask. Well, it carries a lot of humiliating baggage the GB would rather leave behind [false prophecies, fatal medical advice, embarrassingly awful interpretations, etc.] How nice it would be to get a fresh start and just forget about all the past mistakes and law suits. At first glance it seems Rutherford was clever in extracting the name from this verse. But “the light gets brighter” and by now several problems have appeared. Since we’re talking about a religion whose nickname is “The Truth” hadn’t we ought to be truthful about God’s name? Especially when we hold up “making his name known” as one of the main things that identifies us as the one true religion? Finally, if we’re going to go along with what the Catholic Church [aka “Babylon the Great empire of false religion”] invented as God’s name in the 13th century, we might as well go along with the Trinity doctrine they invented in the fourth century. All righty then, I’m sure you agree that it should be Yahweh’s Witnesses, not Jehovah’s Witnesses. But wait; something is still fundamentally wrong with the name Yahweh’s Witnesses. We need to think a little harder about its source: Isaiah 43:10. Since, in that verse, Jehovah himself speaks of a time before himself, we will do the same, and ask: Who was there before Jehovah was formed to witness that there was no god formed before him? And who was there at the forming of Jehovah to witness that no other god was formed immediately after him? According to the Bible: No one. These words were addressed to the nation of Israel, but they were all born long after the event they were supposed to witness. 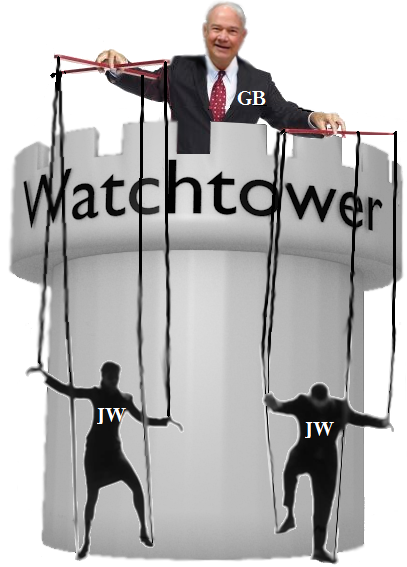 Even if Abel was the first Jehovah’s Witness, as the Watchtower claims, he was born on the seventh day of creation, long after the forming of Jehovah. So not even the first Jehovah’s Witness could have been a witness to these allegations of Jehovah’s, much less the present-day ones. What do we call a witness in a court of law that bears witness to something they did not actually witness themselves? An unreliable witness who has spoken mere hearsay. We disregard such testimony as worthless. What do we call a witness who testifies to something they don’t believe to be true? We call them a perjurer. Not only do we disregard their testimony, we find them in contempt of court and remove them from society so they will cause no further harm with their lies. Of course their full name (to correspond with “Jehovah’s Christian Witnesses”) would have to be Yahweh’s Pagan Perjurers. There are a lot of descriptive names one could possibly come up with for this religion, but none probably fit for print. Previous Previous post: Did Woman Get Here by Evolution or by Rib?